REGISTRATION: Thank you for your interest. Registration began Monday, March 11 at 6 am and was available until capacity was reached in both the retreat and waiting list. At this point we only have availability for Tofino locals. COST: $350 for one person in a queen bedded room, $550 for two people in a room (2 beds or 1 queen). Includes 2 nights accomodation, 5 meals (from dinner Friday to breakfast on Sunday) and all sessions. Registration is now closed. Sorry. There will be a one day Urban Retreat on May 5th at our Centre that will be inspired by this away retreat. All will be welcome. Link here for information and registration. Most people believe that to find happiness we should simply experience as much pleasure as possible while trying to avoid problems. The result of this pursuit of temporary sense pleasure is dissatisfaction, anxiety and confusion. Far from ever feeling truly happy and content, our uncontrolled desire binds us to an unfulfilling and meaningless life where suffering eventually catches up with us. Buddha revealed a different path, the path to deep mental peace. Through training in renunciation or the mind of non-attachment, we can travel this radiant and joyful path; our mind becomes like a fine horse heading for higher ground. Through learning and practicing this path, we can help both ourselves and others attain lasting peace and love that goes beyond suffering and uncertainty. 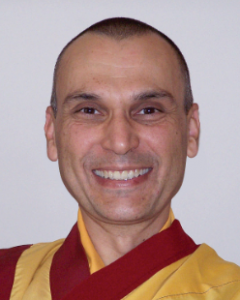 On this retreat Gen Kelsang Zopa will explain renunciation, and give instructions for swiftly travelling the path to what Buddha called ‘Liberation’, the state beyond all sorrow. This is an essential weekend for anyone wishing to deepen their happiness beyond the sense pleasures of this life. The retreat includes instruction, guided meditations, and chanted prayers. There will be time to enjoy the spectacular beaches and ocean view. Click here to view and download a detailed schedule. 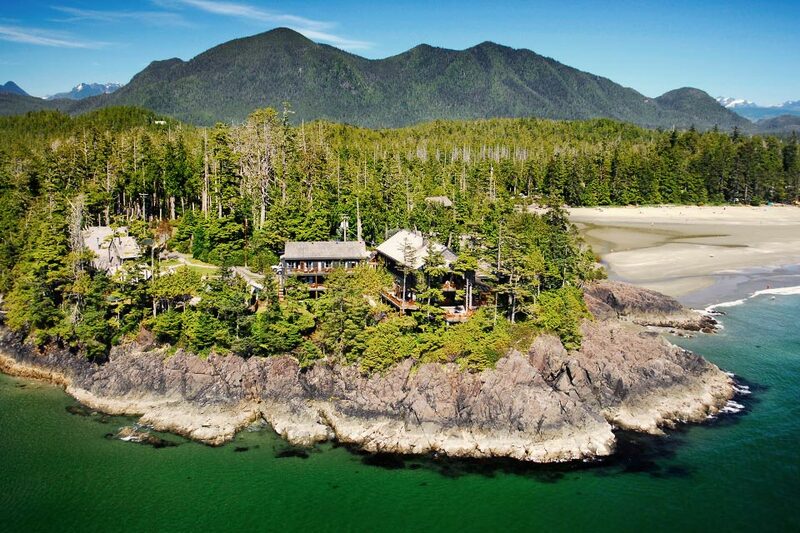 Spectacularly perched on 40 acres of secluded West Coast oceanfront, Middle Beach Lodge features almost a mile of quiet beach, rugged headlands, and two magnificent lodges. This tranquil, natural domain offers an ideal sanctuary for those seeking a quiet retreat to inner peace. It is the perfect setting for enjoying the exceptional natural beauty of Vancouver Island and for getting away from it all. Click here to go to the Middle Beach Lodge website. No. Anyone can learn basic meditation and experience the benefits that come from having a peaceful mind. We do ask that you come with an open heart and mind and with an intention to attend all the sessions. No special clothing is required for the retreat sessions, but you may want to bring appropriate footwear and outerwear for exploring the beaches and coastal areas. Q. What is the schedule for the retreat? You can arrive anytime after 3.00pm on Friday and check into your room. Appies at 5.00pm followed by Dinner at 5.30pm. The Introductory Session will start at 7.00pm on Friday. There will be 3 meals and 5 sessions on Saturday and 2 meals and 3 sessions on Sunday. The retreat will end at 11.45am on Sunday. View and download the detailed schedule at this link.